The electric markets reacted to the shift up in weather pattern. 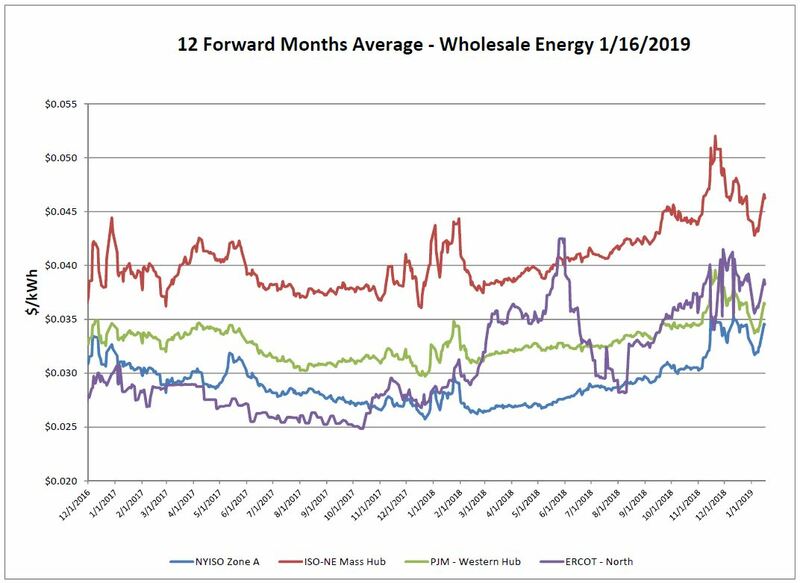 Forward prices rebounded from last week driven by near term increases for February and March. The day-ahead market was impacted by colder than normal temperatures with New England reacting the most notably. As we stated last week, winter is far from over. 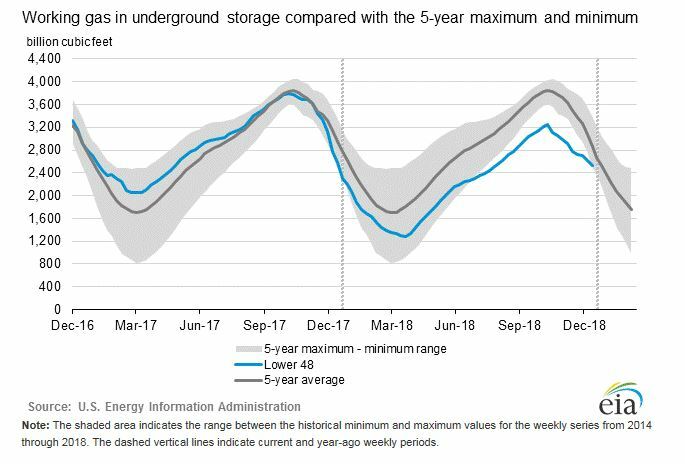 The natural gas market remained solidly weather-driven. With the shift in weather, there is potential for price volatility, as we saw late November. 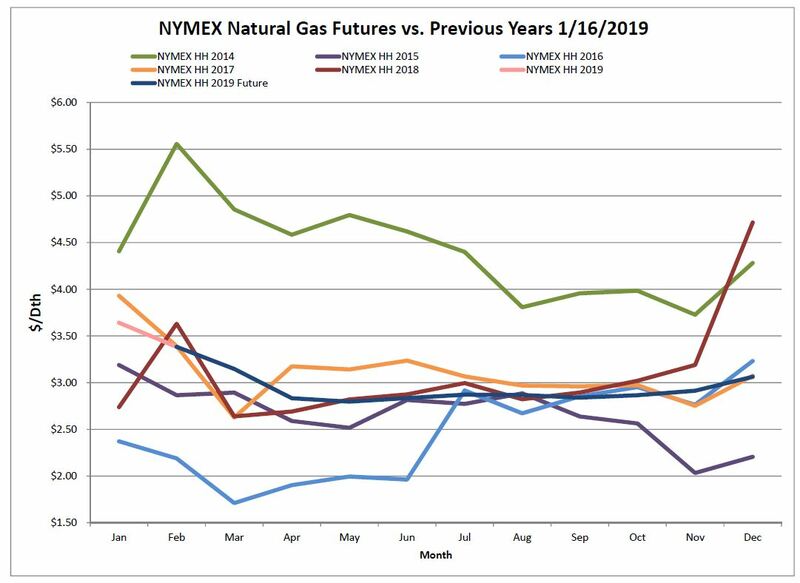 At the NYMEX, the price of the February 2019 contract was quite volatile throughout the week. Ultimately the prompt month ended up 40 cents week over week. The EIA reported a net decrease of 81 Bcf from the previous week. Working gas in storage was 2,533 Bcf as of Friday, January 11, 2019. During the same week last year a 208 Bcf withdrawal was reported, and the 5-year average is 218 Bcf. 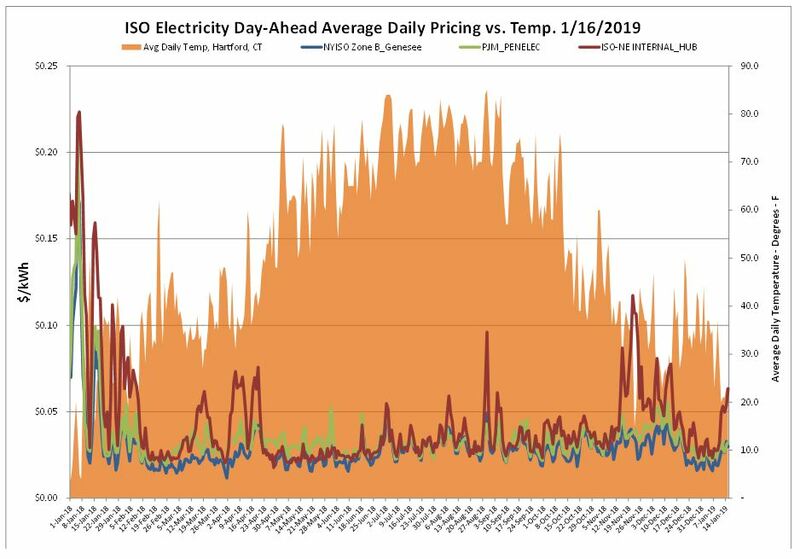 Production remains steady for now, but the anticipated severe cold across natural gas producing regions through the end of the month create the potential for wellhead freeze-offs to curb production while bolstered heating demand is increasing. Over the next few weeks, withdrawals will in all likelihood be more or close to these higher numbers with the combination of these factors. 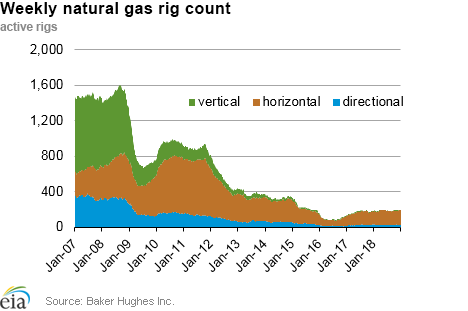 The Baker Hughes exploration gas rig count decreased 4 rigs from last week for a total of 198 rigs. This is 9 more rigs than were in operation at this time one year ago when there were 189 rigs. 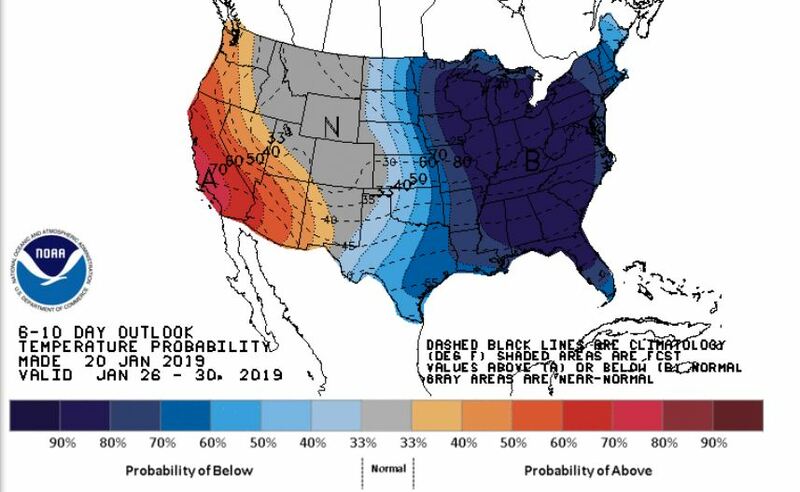 The 6-10 day NOAA outlook is predicting much of the country engulfed in extremely below-normal temperatures. The west coast will be the exception with more seasonable temperatures expected.